Graham joined Watsi on March 11th, 2015. 9 other people also joined Watsi on that day! Graham's most recent donation traveled 8,700 miles to support Abdallah, a boy from Tanzania, to fund burn repair surgery. Graham has funded healthcare for 52 patients in 10 countries. 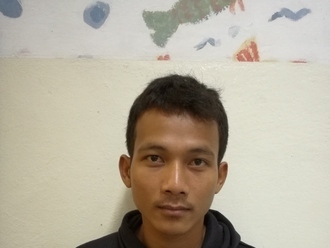 Sopheak is a 39-year-old construction worker from Cambodia. In his free time, he likes reading the news, listening to the radio, watching TV, and helping his wife with the house work. One year ago, Sopheak slipped and fell, dislocating his left hip bone. He first went to Ke Tukmealea Hospital but was then referred to Lim Taing private clinic where the hardware was implanted. Now, the exposed hardware is infected, making it painful and difficult to walk. Fortunately, surgeons at our medical partner, Children's Surgical Centre, can help. On February 13, Sopheak will undergo a hardware removal procedure, which will cost $214. This treatment will help him walk again and not experience any discomfort. He says, "After surgery, I hope that I can walk well without any pain and go back to work." Em is a young man from Cambodia. 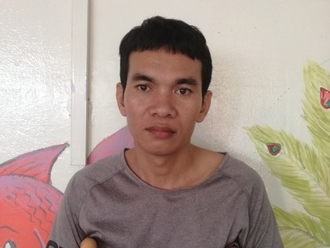 He traveled two hours from Kampong Speu province to receive treatment for his injury. One year ago, Em suffered injuries to his wrist from an electrical burn. This condition has meant that Em cannot work as he is unable to use his hands. Fortunately, he is now scheduled to undergo contracture release surgery on February 12. He needs help raising $417 to fund this procedure. He hopes that after surgery he can go back to work and help around the house. He says, "I hope that after surgery I can use both my hands again and go back to work." Pendo is a five-month-old girl from Tanzania. She is the firstborn child in her family. Pendo and her mother live with her mother's father and brother while Pendo's father is away working. Pendo was born with spina bifida, a dangerous malformation of the spinal cord. She is also now beginning to develop hydrocephalus, a buildup of cranial fluid surrounding the brain. Her head is 30% larger than it should be. “Please help my daughter get better,” says Pendo’s mother. Our medical partner, African Mission Healthcare Foundation, is requesting $1,369 to fund Pendo's operations. She is scheduled to undergo surgery on May 15 at our medical partner's care center, Arusha Lutheran Medical Centre. After treatment, Pendo will be able grow and develop normally. Kimsour is a 42-year-old man from Cambodia who works as a driver. He has two older sisters and one younger sister. In his free time, Kimsour likes to listen to the news, watch boxing on TV, and read the newspaper. 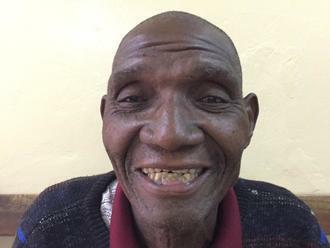 About four months ago, Kimsour developed a cataract in each eye, which has caused him to experience blurred vision, extreme sensitivity to light, and cloudy lenses. As a result, it is difficult for him to see things clearly, recognize faces, work, or go anywhere on his own. Our medical partner, Children's Surgical Centre, is requesting $398 to fund a phaco procedure and an intraocular lens implant for each of Kimsour's eyes. The surgery is scheduled to take place on July 5 and, once completed, will hopefully restore Kimsour's vision to its former state and allow him to live more comfortably. 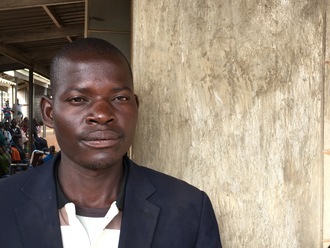 Bulakison is a farmer from Malawi. He recently traveled to our medical partner’s care center, Kabudula Community Hospital. Kabudula is a rural community outside of the capital city of Lilongwe. The health catchment area serves roughly 350,000 people, but the health centers and the hospital are often poorly stocked and staffed. One of Bulakison’s teeth has been causing him bothersome symptoms. Diet is an issue for dental health in Malawi, where sugarcane is prevalent. Also, there is little to no oral health education in Malawi and limited access to a dental professional. In fact, there are fewer than 20 dentists across the country. Fortunately, a visiting dentist will perform a dental extraction. A dental extraction is a simple procedure with few risks, and it will result in a significant reduction in his symptoms. Bulakison is scheduled to undergo treatment on July 18. Our medical partner, World Altering Medicine, is requesting just $28 to fund the procedure. Roeun is an 80-year-old woman from Cambodia who is married and has two sons, two daughters, and eight grandchildren. In her free time, she likes to listen to monks pray at the pagoda. About two years ago, Roeun developed a cataract in each eye, which caused her to experience blurred vision, tearing, and sensitivity to light. As a result, it is difficult for her to see things clearly, recognize faces, do work, or go anywhere outside by herself. Our medical partner, Children's Surgical Centre, is requesting $398 to fund small incision cataract surgery and an intraocular lens implant for each of Roeun's eyes. The surgery is scheduled to take place on July 4 and, once completed, will hopefully restore Roeun's vision to its former state and allow her to live more comfortably.